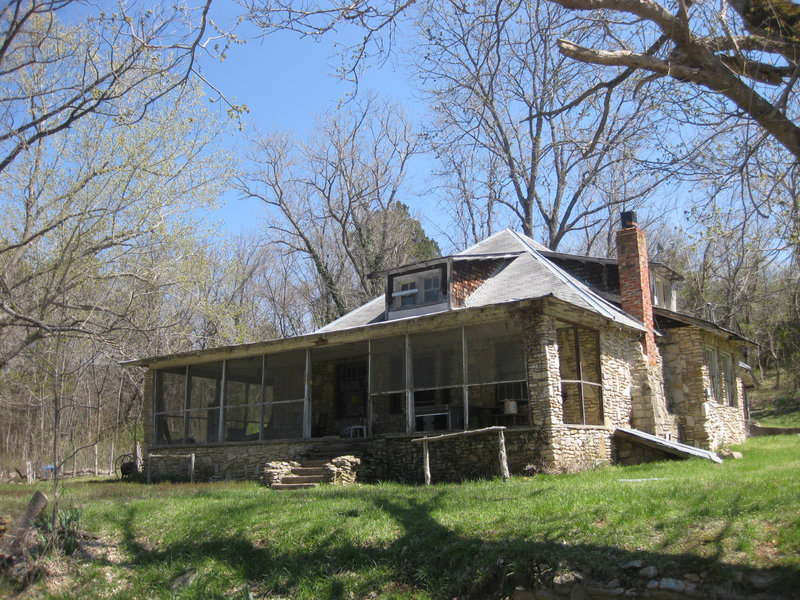 Looking over Bull Creek, about 30 miles south of Springfield, this old house displays one of several types of stonework that appears in the houses built in the White River Valley around 100 years ago. The smooth, flat stones come from the rivers and creeks. Some people call it river rock. In this view, you can see that the pattern of laying the small flat stones horizontally is occasionally broken by standing a larger stone on end. Above the cellar door (and windows and doorways not visible here), small stones are set vertically akin to what brickmasons would call a “soldier course,” sometimes arching a bit. I visited this house with a couple of sisters whose uncle had owned it in the early 1960s. The uncle added the fireplace. You can see several fine examples of this type of stonework on Downing Street in Hollister, Missouri, and in a few of the older commercial buildings in downtown Branson. Posted in Missouri, Missouri economy, Ozarks economy, Taney County and tagged Downing Street, Ozarks, Ozarks architecture, Stonemasonry, vernacular architecture. Bookmark the permalink. Nice blog Harry. Something on a lower shelf that us architects can understand. Thoughtful. 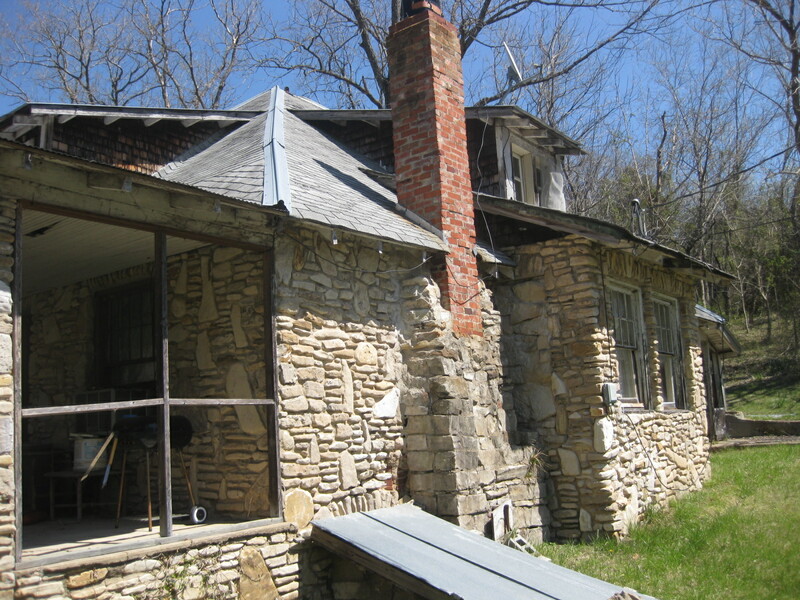 Likely the stone used in this sort of building was our Missouri Limestone. It is plentiful, reasonably hard, and colorful.